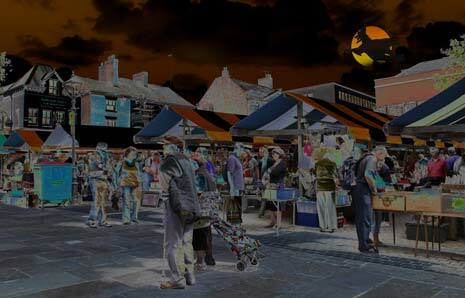 People are urged not to miss a trick - or treat - at North East Derbyshire's markets this Halloween! Spell-binding family fun will be running at the markets in Killamarsh, Eckington and Clay Cross - the latest in a series of events organised as part of North East Derbyshire District Council's 'Marketing the Markets' campaign. Spooky street entertainment, face painting, creepy crawly petting zoos, prize draws and a range of stalls - plus a chance to meet Scooby Doo, the Ghostbusters and Dr Who - are among the free attractions on offer at the events. The events are part of the authority's 'Marketing the Markets' project - launched thanks to £170,000 worth of funding from the Bolsover and North East Derbyshire (BNED) LEADER Approach, and with support from Clay Cross Parish Council, Eckington Parish Council, Killamarsh Community Trust Association and Dronfield Town Council which manage the markets in their towns. 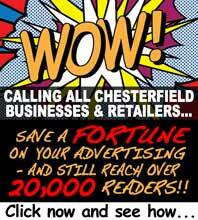 It is also in support of the council's 'Buy Local' campaign - launched in partnership with the Derbyshire Times to encourage North East Derbyshire residents to spend on their doorstep. Free car parking is available at all of the sites. For more information - including details of how to get started as a market trader in the district - visit www.loveyourmarket.org.uk or call (01246) 217550.